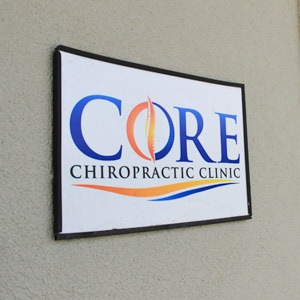 Core Chiropractic Clinic is a family-friendly place, full of people of all ages. There are children’s toys around the office, and a kiddie table where they can sit and color. It’s lively and energetic, with a television on in the front room and upbeat music playing. When you walk in, you’ll be greeted and given some new patient paperwork. You can also download these forms from our website and bring them in completed. Then, Dr. Josh will take you to a private room and listen carefully as you explain your concerns. He’ll start on a specific, thorough chiropractic examinations. Depending on your case, he may take scans using the Insight Subluxation Station. Dr. Josh will then detail what the source of your problem is and why it’s occurring, answering any questions you have along the way. You’ll receive your first adjustment and get any therapies as appropriate for your condition. If X-rays are necessary, Dr. Josh can send you to another facility, but very few patients need them. You’ll get a care plan after your adjustment and go home with any advice Dr. Josh gives to you. This visit takes about 45 minutes. Your appointments will go according to the plan that you and Dr. Josh discussed on your first visit. He’ll talk to you on each visit, making sure that you’re progressing and that your needs are fully addressed. He’ll give you advice and information on each visit as needed, ensuring you have the knowledge you need to improve your health in between your visits. Each of these appointments takes 15-20 minutes. Some people may need just a couple of visits to reach their goals. Others choose to see Dr. Josh every couple of weeks or monthly because they can avoid pain and continue feeling good. It’s up to you, and he hopes to educate you on the benefits of being under maintenance care so that your issues don’t recur. Dr. Josh offers late hours to stay flexible to your schedule. Schedule your visit today! He is an in-network provider for many insurance plans.